Perfect for those short notes everyone likes to write to friends and family, Informal notes will be used often in your household. 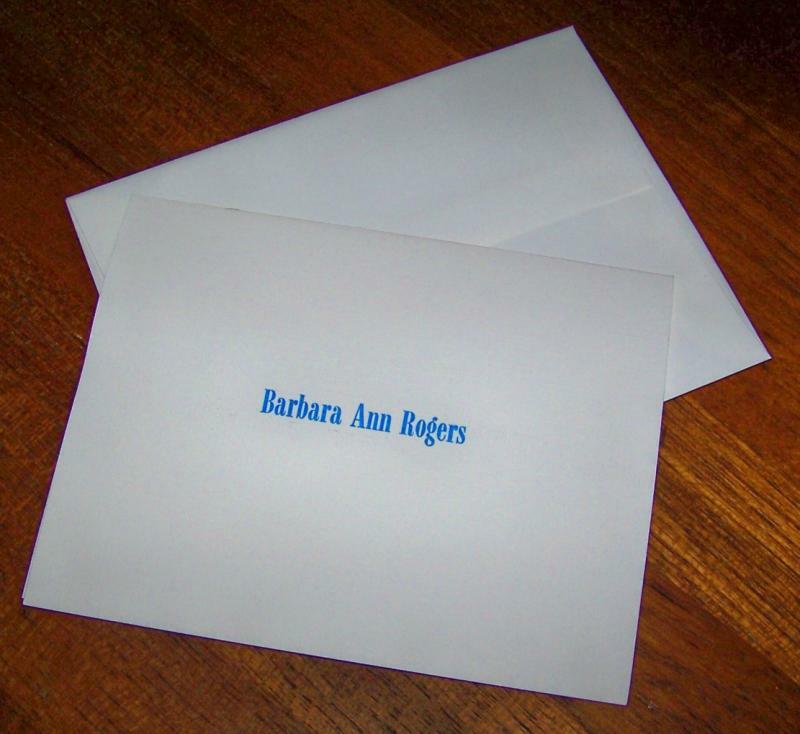 Twenty-five heavy-weight white Informal Notes, 5-1/2 x 8-1/2 inches, folded to 5-1/2 x 4-1/4 inches, letterpress printed in blue with one line only in your choice of any one of the illustrated type styles. Includes 25 matching plain, unprinted white envelopes, and packed in an attractive clear plastic gift box. Please limit your copy to one line of 25 characters or less (unless otherwise specified for your selected type style), no accented letters.